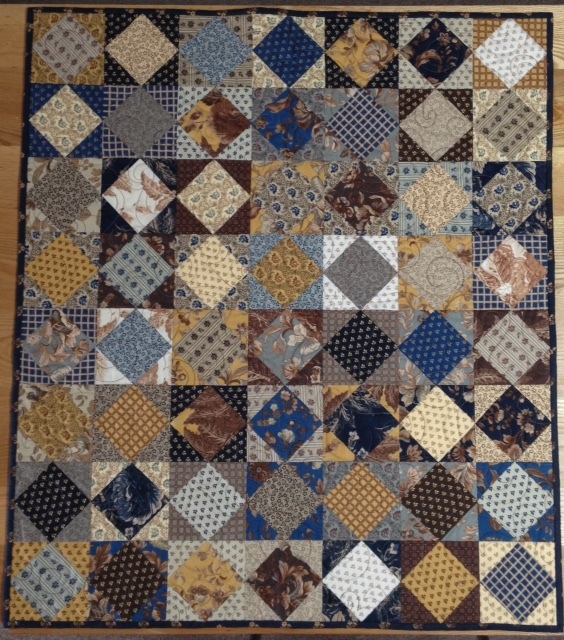 Quilting Adventures: MIA .... yet again! I really am trying to keep up with my blog. I do enjoy it! It's just that sometimes life gets in the way. Like for instance, I just bought a new laptop for Fibre Junction. The old one was so slooooooooow! It was over 6 years old! That in itself has been keeping me busy ... transferring files ... adapting to Windows 10. We're talking moving from XP to windows! It's slowing me down! lol I do like the touch screen! Given that I do not like anyone touching my screen, this should be interesting! On the quilting front, I continue to keep focused! Yes, I am trying my best to finish some of the projects on my UFO list. I'm working on Fivrols. I fell in love with Moda Frivols! What's not to love about a cute tin and ... working with the latest fabric line from a designer? The projects are so manageable! Last week I finished Frivol 3 - Heritage by Betsy Chutchian. It uses Besty's fabric line Eliza's Indigo! The quilt was fun to makes. There's something to be said about crossing a project off your list! Now onward to Frivol 5! The cutting is all done, now it's time to sew! 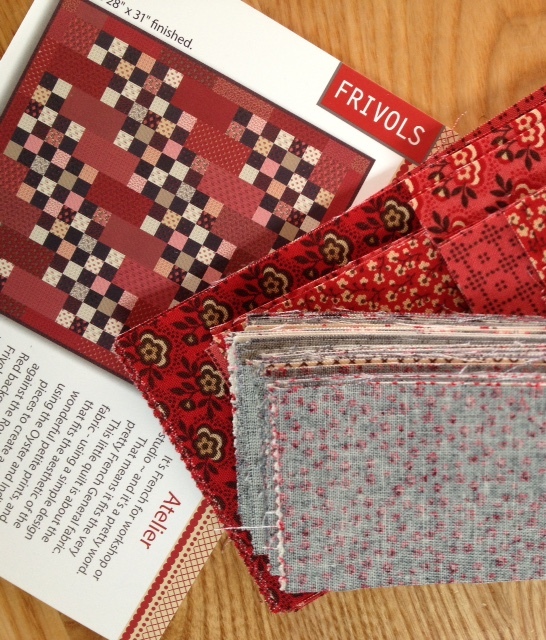 I do have a stack of quilts to machine quilt this weekend including Frivol 2 and Frivol 4. Time for a date with Penelope! Those are beautiful fabrics to work with and they look beautiful in the quilt. I have a lot of sets that I have been saving, time to make them into quilts. The Frivols are beautiful. Looking forward to seeing both finished. It looks like you're too busy to blog -- that's what's happened to me too, although I'm not working on fun stuff -- just daily, dreary, working life LOL. Haven't done Windows 10 yet, so I'm lost when you talk of touch screens. Have fun with it though LOL! Those frivolous look terrific. I'll be glad to see how you and "Penelope" quilt them.